The oil and gas sector is leading an investment explosion in the region, particularly in Saudi Arabia and Qatar. Led by Saudi Arabia and Qatar, the countries of the Gulf Cooperation Council (GCC) are experiencing strong economic growth. Oil and gas exports are fueling an investment boom. Increased bank lending and higher consumer spending are adding to the forward momentum. The Middle East economy thrives on high oil prices, but other sectors are becoming increasingly important as diversification and job creation get top billing. It was a strong start to the year for the non-oil private sectors of the main oil-exporting countries in the Arab Gulf. Output and new orders rose in January, and business confidence was bolstered by strong government spending. GCC countries plan to invest up to $2 trillion in infrastructure projects alone in the next decade. In Saudi Arabia, the largest economy in the Arab world, and Qatar, the region’s fastest-growing economy, infrastructure spending is exceptionally strong. This is having spillover effects on other sectors, such as the construction industry and building supplies. Government spending in Saudi Arabia is budgeted at an all-time high for 2012. At the same time, global demand for oil is expected to rise in 2012 on continued strong growth in emerging markets, according to the International Energy Agency. “With the implementation of an unprecedented number of major projects, as well as enhancement of the role of women in the Saudi economy, the kingdom is moving to a new level of sustained growth and prosperity,” says Adeeb Al-Sowailim, CEO of Falcom Financial Services in Riyadh. Women will be allowed to vote in the 2015 local elections and to be appointed to the Shura Council, the formal advisory body of Saudi Arabia. The kingdom has a strong competitive advantage in the production of fertilizer, aluminum, steel and, of course, petroleum-based products, Al-Sowailim says. The Saudi economy grew by 6.8% in real terms in 2011. However, the dominant oil and gas sector grew by only 4.3%. Manufacturing, which is primarily focused on petrochemicals, saw a 12% gain, its sharpest rise for well over a decade, according to the Central Department of Statistics. Private consumption has become an important driver of economic growth, according to Samba Financial Group in Riyadh. The most recent census puts population growth at 3.4%, making Saudi Arabia one of the fastest-growing countries in the world. The global average is 1.2%. “Growth [in the population] over the past decade has been spurred by expatriates, who tend to save more and consume less, but the Saudi national population is still growing at a brisk 2.1%,” says Keith Savard, director of economics research at Samba. 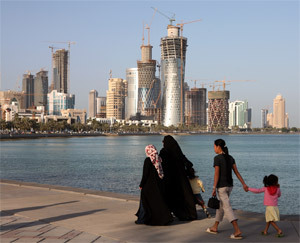 Bank lending is on the rise in Qatar, one of the fastest-growing economies in the world. Private sector credit growth rose 19.2% last year, while public sector credit growth remained high at 44.7%. A large part of the lending to the private sector went to contractors and real estate, which saw a gain of 33%, according to Samba. “We expect that credit growth will remain healthy this year as salary increases and sustained high levels of public spending promote increased activity and investment,” the bank says. Qatar’s hydrocarbon exports surpassed $100 billion in 2011 and are expected to remain high this year and next, Samba says. This reflects a surge in production capacity in liquefied natural gas (LNG) and refined petroleum products, as well as recent strength in oil prices, it says. “Qatar has been a success story in the energy sector for the past 10 to 15 years,” says Mohamad Moabi, assistant general manager for economics, financial analysis and research, at Qatar National Bank. The country is enjoying increasing demand for LNG from China, India and Japan. Meanwhile, Qatar is the world’s leading country by far in GTL (gas-to-liquids), with major plants by Sasol of South Africa and Shell that convert natural gas into low-sulphur diesel, naptha and liquid petroleum gas. In addition, Qatar is sending gas by pipeline to neighboring countries. Qatar Petroleum completed a $10.4 billion financing last December of its Barzan gas project, which will help meet growing domestic and regional energy demand. Over the next decade, Qatar will focus on development and infrastructure, adding capacity to its existing transportation network and building a new airport, as it prepares to host the FIFA World Cup in 2022, Moabi says. More than $180 billion of projects are planned in the region over the next 10 years, with Qatar making up a significant chunk of that investment. 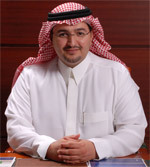 Qatar National Bank led the country’s banking market in terms of assets, with $82.9 billion on December 31, 2011. QNB accounts for nearly half of the assets of all Qatari banks. The country’s banking sector is working on a new regulatory framework, as the Qatar Financial Centre Regulatory Authority—the state financial regulator—is restructuring to create three niche service hubs: reinsurance, captive insurance and asset management. “We have been working hard to put in place the best regulatory environment for all three of our core hubs,” says Shashank Srivastava, acting CEO of the QFC Authority. "We believe that optimism goes hand in hand with income growth, which will be uniformly positive in the next 12 months"
The QFC Authority officially enacted a new tax and regulatory regime in 2010—including a 10% corporation tax on locally sourced profits, zero personal income tax, no restrictions on dealing in any currency and special provisions for Islamic finance. “The low rate of tax is attractive for local firms with international ambitions and multinational firms thinking of establishing a presence in the region,” Srivastava says. Qatar and the QFC have been largely unaffected by the regional political unrest, Srivastava adds. The most recent global competitiveness report from the World Economic Forum ranked Qatar as the world’s 14th most business-friendly country and the highest rated in the Middle East and North Africa. Last July the QFC Regulatory Authority issued new business rules for captive insurers, captive managers and insurance intermediaries. 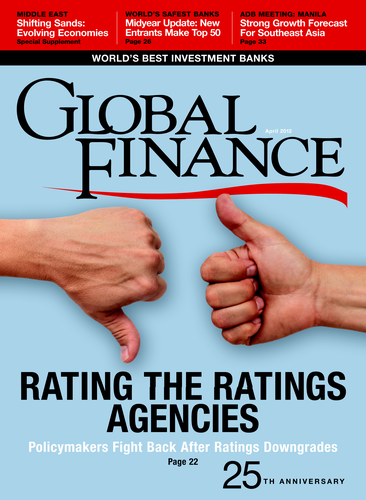 The changes include a new and more flexible “class 4” captive, a risk-based model for capital requirements, and streamlining of the approval process. QFC-licensed companies are allowed to operate outside the two QFC Towers, as long as the premises are designated as QFC locations. There are about 40 such locations around Doha and new ones being considered. “One of the factors limiting the growth of Qatar’s financial services sector is the shortage of skilled and experienced people,” Srivastava says. With this in mind the QFC Authority and the Qatar Foundation have jointly created the Qatar Finance and Business Academy to train financial services professionals and provide certifications. Saudi Arabia’s stock market recently hit a 40-month high, and with global markets showing signs of growing confidence, Falcom Financial Services of Riyadh predicts the Saudi market will continue to rise. The stock market is expected to open to foreign investment, which will increase trading and pave the way for more exchange-traded funds to develop. Saudi Arabia’s banks remains largely insulated from dislocations in the eurozone and enjoy plentiful liquidity and solid capitalization ratios, according to a report by Samba Financial Group in Riyadh. “This liquidity is being put to good use in the local project market, which is largely untroubled by the exiting of many European banks from the region,” says Keith Savard, director of economics research at Samba. The average capital adequacy ratio of Saudi banks is 17%. Their foreign liabilities have fallen steadily in recent years, Savard says. “In addition, the Islamic nature of banking in Saudi Arabia means that a good deal of deposits are non-interest-bearing, which keeps the cost of funds comparatively low,” he says. Islamic bond sales also got off to a strong start this year, highlighted by the Saudi Arabian government’s first Islamic note issue. The 15 billion riyal ($4 billion), 10-year instrument was issued by the General Authority of Civil Aviation. The proceeds will be used to finance the King Abdulaziz International Airport redevelopment in Jeddah. In Qatar, the development of a market for Islamic issuance is strongly supported by the state financial regulator, the Qatar Financial Centre Regulatory Authority. 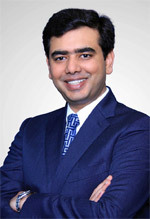 The QFC Authority gives the same support to Islamic finance as it does to conventional finance, according to Shashank Srivastava, acting CEO of the QFC Authority. “For example, the QFC supports the development of retakaful [Islamic reinsurance] products and the issuance of sukuk as an asset class in response to increasing investor demand,” he says.